It took a couple months, but when the Driftboard finally arrived most players loved it. There have been a couple of bugs with it but nothing as bad as the ziplines or the early days of the planes. The consensus seems like the Driftboard is fun to use, helpful in some situations and not overpowered at all. Having all those three things may just make it the best vehicle in Fortnite’s history. With the news that planes would be vaulted as we head into Season 8, the Driftboards fate was a bit hazy. To settle community concerns, Epic employee MrPopoTFS posted on Reddit to confirm that the Driftboard would not be going anywhere with the v8.00 patch. 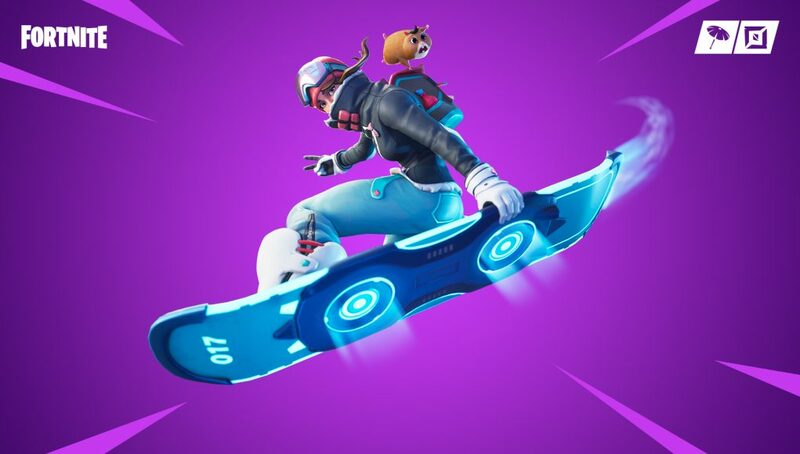 This is sorta just a random post to put out there and shows that Epic has probably had a lot of people inquiring about whether the Driftboards would stay in the game. Again speaking to the board’s popularity within the player base. The comments on the post are talking about the fairness of the item and bringing up some interesting points about its relative power level. There are also plenty of Thanos memes so that is basically Reddit in a nutshell. Driftboards make a lot of sense during Season 8 as we expect there to be some amount of lava, water or both introduced to the map. Because the board is flying it can handle those terrain changes better than a Quadcrasher. Where does the Driftboard rank in your list of favorite Fortnite vehicles?